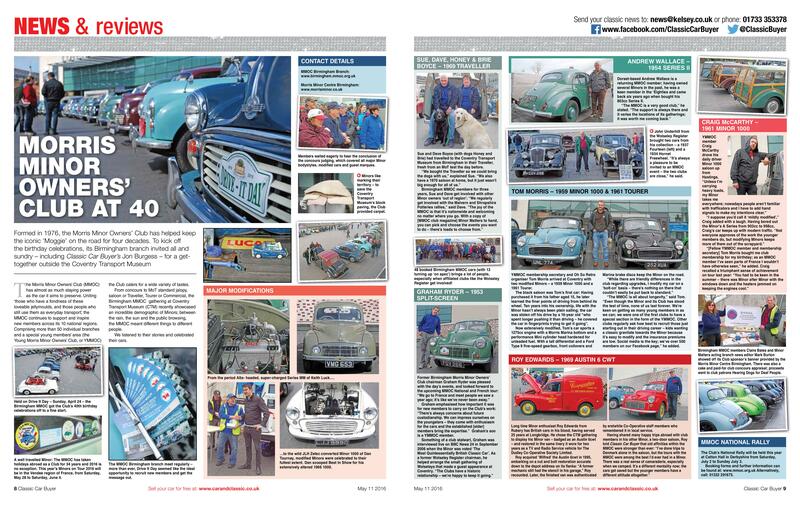 Our 2016 Branch Rally at Coventry Transport Museum was featured in May's Classic Car Buyer. In April 2011 we met up with Russ Harvey from Minor Monthly for him to take some pictures and details to compile an article on our branch. This article was published in the September 2011 issue (No.195), and courtesy of Minor Monthly, we can show it to you here. In September 2006, the Morris Minor was voted 'The Most Quintessentially British Classic Car'. Graham Ryder, BMMOC Chairman at the time, was interviewed about this live on BBC News 24.